This post is sponsored by iHerb. All opinions are 100% my own. It can be difficult to keep your family healthy this time of year. Especially with all of the germs that kids are passing around and bringing home from school every day. 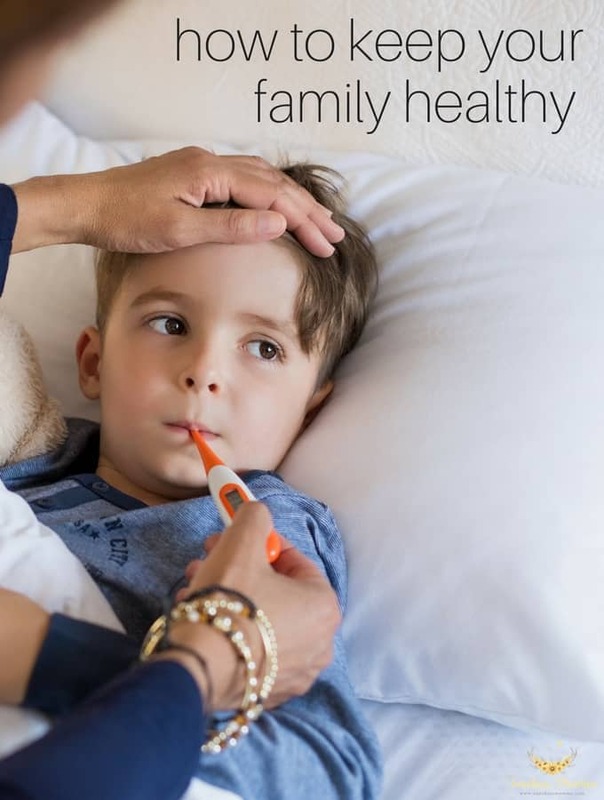 That is why today I am sharing some tips to help keep your family healthy this season! Everyone in my house takes vitamins. We order them straight from iHerb so I don’t even have to remember to go out and buy some when they run out. Both Brandon and I take Nature’s Way Alive! Which are men and women’s multivitamins that provide energy to keep us up and going for the day. It isn’t hard to get Braylee to take her vitamins every day. She even asks me for them each morning which probably has to do with the fact that they are gummy vitamins! 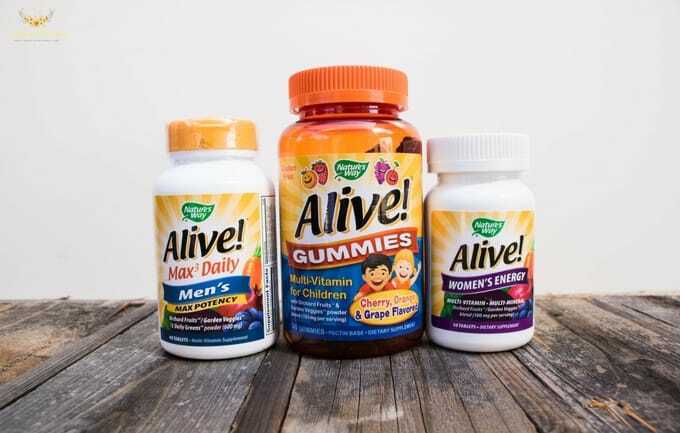 Her vitamins are Natures Way Alive Gummies, but they are specifically for kids. In addition to my daily vitamins, I take both Nature’s Way Calcium Tablets and Nature’s Way vitamin D3. Both of these help keep my bones healthy! Yep, you read that right. 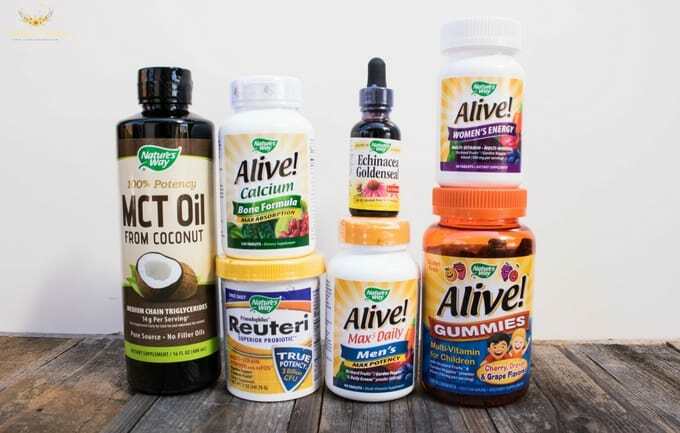 We use probiotics at home to strengthen our immune system and support healthy digestion. Probiotics are a great idea to take all the time because it is putting good bacteria back into your gut and it is especially helpful during stomach bug season. 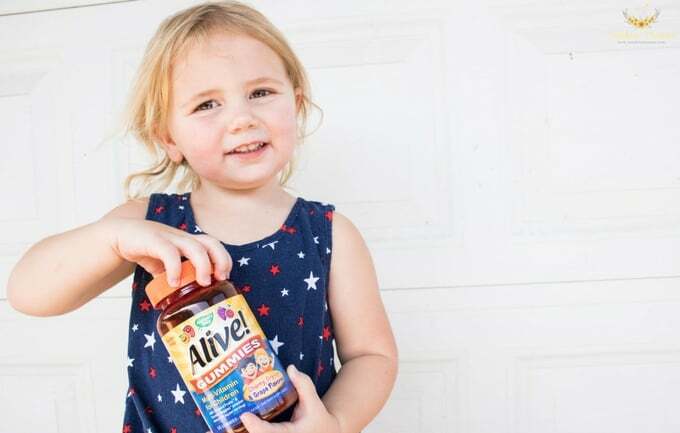 Our daughter’s very first stomach bug was when she was just over a year old and our doctor put her on probiotics and clear fluid until it passed. We love probiotics and use Nature’s Way Probiotic Powder because it is really easy to put into your smoothie or something similar in the mornings. You can’t even tell it is in there! When I do start to feel under the weather there are a couple of different ways that I boost my immune system and power through. I take Nature’s Way MCT Oil for energy. It is an all-natural dietary supplement made from coconuts that helps boost your energy. You can mix it with coffee or a smoothie and it is completely tasteless! Nature’s Way Echinacea Goldenseal is another supplement that you can take when you start to feel under the weather! Many people take it during the winter months to keep coughs and colds away. I take it when I feel illness coming along to help boost my immune system and fight off whatever it is that is bugging me. Teaching your children to wash their hands regularly is crucial to keeping illness at bay while they are at school. You can also teach them other healthy habits like coughing into their sleeve to help stop the spread of colds. Sleep is incredibly important to your immune system. You cannot fight illnesses if you aren’t getting enough rest. This is important for adults, but also really important for kids too. Water, water, and more water. Most people (including kids) aren’t drinking enough water to keep them healthy! To be healthy, you need to stay hydrated on a daily basis and even more so when you aren’t feeling good. iHerb has a special offer out right now that you can use! New customers can get $5 off their Nature’s Way order of $20 or more!